“Write until your fingers break. It may be the cure for everything.” - Kelly O'Connor McNees. But one of our occasional contributors, Gregory Hargrave, has recently acquired THE writing tool for aspiring authors, so with it you type type type. They're dirt cheap—a bit over $100, new. They weigh under two pounds and are very durable, so you can write nearly anywhere. They perform one function: the simplest, most straightforward sort of word processing. (Forget distractions, such as games, e-mail, "researching" on the internet, etc. When you sit down with it to write, you will WRITE.) The keyboard is full size and a pleasure to type on. Everything is solid state, so the NEO generates NO heat and will operate for up to 700 hours on three AA batteries. (SEVEN HUNDRED HOURS, with no recharges. No laptop on the planet will do that.) Mine has 8 independent file areas, each accessible at the touch of a separate key, which I've calculated will hold 25 single-spaced pages of text each. (When I'm thinking in terms of a novel, I assign one chapter to each file.) 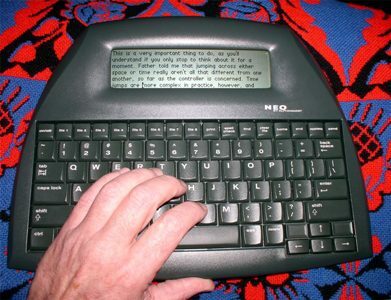 When you're ready to do some serious editing, you simply plug the NEO into your PC via its USB cable, open an empty file in your word processor of choice, and hit the SEND button. The content of the NEO file quickly transfers to the word processor page, beginning at whatever point the word processors cursor was positioned. Speaking of authors, our "By The Numbers" Michael John Fierro passed this along,"Once again, my book has moved up the charts on Amazon! This is my ranking as of 9:50 AM. 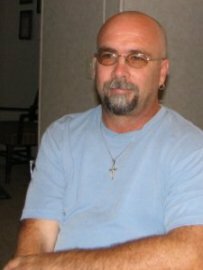 Gregg Hinlicky Amazon Best Sellers Rank: #211,508 in Books (See Top 100 in Books) #43 in Books > Religion & Spirituality > New Age > Divination > Numerology." Don't miss his column in this issue, "The Progression and Meaning of the Numbers." Sugar is on Eric Shackle's mind, and he shares his thoughts about it in "Queensland Cane Growers Should Switch to Sugar Beets." Peg Jones ("Angel Whispers") lets us in on the countdown shivers as she waits for her book, “Living In The Heart Place With Your Angels: Daily Angelical Whispers Throughout the Year” to get in the Amazon market. "Irish Eyes" by Mattie Lennon, tells about the unique Mobile Cottage; Thomas F. O'Neill, of Suchou, China, discusses economics in "Introspective." Judy Kroll ("On Trek") talks about "Attitudes" and possible alterations one can apply. John I. Blair's column "Always Looking-People Who Made A Difference VIII" drew this appraisal from him, "This is about Maurice B. Visscher, an important Humanist and scientist, once famous, who deserves to be remembered." We are pleased to carry an article by a long time friend, Scott Chase, who authored "It Was A Special Event." Be sure to check out his bio - just click his byline. Joi Smith has two poems this issue from one extreme to the other, "Sacrifice" and "Thanks." Joi can make the hair stand up on your arms! John I. Blair's three poems are "72," "Body Functions," and "Leaves That Move without A Breeze." Nice to see John's poetry picking up again. 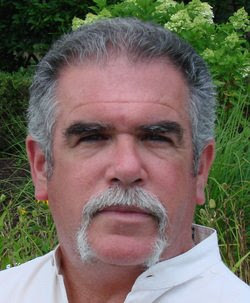 Bruce Clifford also has two poems for July, "Hard to Get (The Broken Fork)" and "It's Hard to Say." The poem "A Ballgame" by yours truly arose from hours of watching my baseball teams win and lose. Can't compare to number of hours they actually put in during a season, not counting the travel time. The new chapter in the adult fantasy with rabbits by Mark Crocker is "Rabbo II, Chapter 16-Battle plans." Previous chapters of this tale can be accessed by clicking the author's name. See you in August! Our co-founder and webmaster Michael Craner, is cooking up some exciting projects for Pencil Stubs Online. Can't reveal everything just yet, but our authors should not be surprised to hear from him shortly. Thank you, Mike, you're always planning ahead. It was a special event. Akin to new years eve in times square or perhaps the Super Bowl. This was not a festive type of event though.Today it would draw the kind of morbid curiosity of a gruesome murder trial that splashes across the headlines. This case would have an extraordinary twist. There would be no major crime and yet the accused would be put to death! The scant amount of evidence would be circumstantially suspect. The kangaroo court would of course be decidedly biased against the accused. The mob (public) fearful of the governing court would be incensed by an innocent plea. Testimony would conflict with the charges. A rush to judgement by a cold hearted and skeptical populace. Hardened by the fear of change and doubt. The decree of guilt a necessity...the mob is fueled with hatred and a Blatantly harsh indifference. The ghastly Parade ensues. The mocking and contemptuous scorn escalates with each step. The ridicule burns deep into his flesh with each crack of the whip! The acidic bile of their words scald his ears. The rocks they throw at him give weight to the hatred that permeates the procession. He stumbles more than once under the burden. Those that would summon the courage to help him are rare. To align yourself with him would invite ferocious public outrage and scorn in your direction. Even if you were right to show kindness and compassion. The unrelenting pressure of your peers would suffocate your desire to count yourself as one of his followers. Many a good men and women would be deterred or swayed from showing support for him. The heat of the day is oppressive as are the jeers that assault and reverberate in his mind. Surely at some point, the thought would cross his mind if even for a brief moment...Why must he suffer so? The answer...Love must prevail over hatred so intense! Once more he falls and slowly rises to his feet, wearily trudges up the hill under the weight of his impending death. The crowd becomes rather quiet as the soldiers secure him to the instrument of his demise. Meant to humiliate him in a shameful position of severe pain and torturous helplessness. A cruel challenge to his belief and power. A demonstration of brutal abuse of power by an arrogant bureaucracy. A glimpse of the irony behind the abject tyranny of a corrupt government. As well as the folly of man's own mind to remain in control. Resistant to yield to God's wisdom. The reports of his miraculous deeds witnessed by literally thousands of people, belittled and scoffed at by a court not capable of comprehending. Dismissed as parlor tricks or attributed to demonic possession. Demons are real but god is False? The testimony that validates him is used to convict him! Now the pinnacle of contempt! Meant for the people of those times as an example of the power of men over an idea not fully understood. Then, nor now. The Crucifix presented to the people for the first time. A battered and weakened man. A crude crown of thorns pressed painfully onto his head hours ago. The first thing Christ says on the cross is, "Father forgive them! For they know not what they have done." Here we present the challenge! If you possess these powers than show us! Save yourself from this torment! Cheat death! Hours go by...one is forgiven and saved. A relationship restored, an inheritance claimed! Even on his last day, in difficult times, not as helpless as they would like you to believe! Mentally stressed and physically drained, unable to support himself his lungs tear away from the muscles. The pain steadily increases. The crowd grows impatient. Chants of "Kill him!" and "Save yourself!" The reaper rises from his evil lair and begins to stalk his prey. How easy would it be to give in to temptation and end the physical pain. However, mortal men have cheated death before. Only God can defeat it! In doing so, he elevates his promise of eternal life to Truth! Under extreme social prejudice, with relatively few supporters, Christ demonstrates His Love in the form of Forgiveness. While we often think of Love as being rather soft, kind, compassionate and emotionally warm and comforting. Forgiveness is the Backbone of Love's many attributes! It is also the most difficult to display to others. As well as cultivate within ourselves. Yet, under the most hostile and malicious of conditions, Christ demonstrated the depth, power and proof of his merciful Love! Often times when praying for the healing of others, nonforgiveness is an obstacle. As a Christian, I know I am Far from being perfect! I am however, very thankful that God is still at work in my life! Perfecting his Love in me, so that I might be able to share it with others. It is my hope that by bringing awareness to the power of Forgiveness, the Love of God will grow to a critical mass. Once again, prevailing over the hatred and indifference that seems to have erupted in the world today. I pray that anyone who reads this article is moved by the compassion of God's Love! I pray and urge those people to forgive at least one person (all those) in their life! Releasing both/all parties involved of any ill will or wrongs suffered that may be harbored between them. I pray that this profound demonstration of God's Love will Heal friendships, relationships, marriages and families in the process! I know that for some, asking them to forgive another may truly be difficult. I merely ask them to consider what Christ went through for us and know that his words are strong enough to lift the burden of any hurtful situation you can imagine. Forgiveness can forge new pathways that I pray will lead to a gentler more loving world. I implore anyone with the patience to read this to pray about anything that might be troubling them. Consider this a knock at the door...Christ is extending his hand...will you answer it? In Jesus' Precious name I pray! Amen!!! May the Glory be to God!!! Click on Scott Chase for bio and list of other works published by Pencil Stubs Online. “Mathematics appears to be almost too effective in describing and explaining not only the cosmos at large, but even some of the most chaotic of human enterprises. Much, and perhaps all, of the human enterprise also seems to emerge from an underlying mathematical facility, even where least expected.” -Mario Livio, Is God a Mathematician? At its core, Numerology is based upon the numbers 1- 9 and the alphabet as it is known. A proper and accurate Numerology chart should use the alphabet of the native language that appears on the birth certificate. In this article, I present to you the basic energy behind each number and how its existence and expansion is contingent upon the arrival of the next succeeding number. The NINE is a combination of all the numbers and represents the universal human. It involves the qualities of compassion, selflessness, altruism, philanthropy, and the moderation of power. NINE has the inherent ability to conceive that the one is a part of the all as NINE encompasses all the qualities of 1 through 8, thus it holds love for all. Without the number NINE, humankind would destroy itself through its inability to conceive of all that there is and our inherent interdependence. NINE is the third of the most commonly occurring numbers in the spelling of a name. The number NINE is represented by the letters I and R. NINE has the capacity to encompass all the good and bad of all the numbers. It innately looks back and sees the “family” while looking forward and seeing the “new” one. It is all that was and all that will be again! 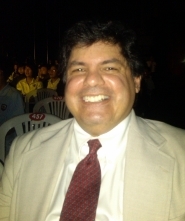 If you have a specific question you would like to ask Michael, please send it to him through the Contact Page on his website: http://www.michaeljohnfierro.com/contact-form.html With your question, please include your name (as it appears on your birth certificate) and your birth date. North Queensland sugar cane growers, hit by a mysterious virus which is attacking their canes, should follow India’s lead, and switch to growing sugar beet. “A sweet change is gradually entering the farms of Bathinda,” says a recent report in the Indian Express. “Farmers are commercially testing a crop they have previously known as not-a-very-popular ingredient at their dinner table – the sugar beet. “It is being raised by about 40 farmers, particularly in Jodhpur Romana in Bathinda district , for supply to a factory in Tarn Taran that extracts sugar from the sugar beet and not sugarcane. “The farmers say transportation cost of sugar beet is less than that of sugarcane. The return they get from sugar beet, 145 rupees a quintal [$2.52 US per 100 kilograms] is almost as much as they would get for sugarcane. The latest FRP for sugarcane was 170 rupees [$2.95 US] a quintal. “They can have possibly two beet crops a year and double their income because sugar beet is ready for harvest in six months compared to the 10 months the sugarcane would take. Hundreds of miles south of Queensland, Victorian farmers around Maffra in Gippsland have grown sugar beet for well over a century. The story of Maffra's sugar industry begins in the early 1890s. Although there had been other minor attempts to establish sugar production from beets in Victoria from as early as 1866, the local effort was by far the most serious. The Maffra Sugar Beet Company was registered in 1896, with capital of £70,000. Building of the factory commenced in the following year and was completed in 1898. The Colony's first 500 tons of sugar were refined that year. Unfortunately drought seriously affected production and the Company was unable to continue profitably, so the Victorian Government took over the factory in 1899. It was kept in 'mothballs' until 1910, when the industry was revived following a report from a Dr Walter Maxwell. To ensure a continual supply of raw material, the Government insisted that each farm on the newly developed Closer Settlement schemes in Boisdale and Kilmany had to grow a specified quantity of beet, originally ten acres. Despite another severe drought in 1914-15, the factory showed its first of many profits in 1917. The Glenmaggie irrigation scheme was commenced in 1919 on the Macalister River, initially to provide water for the beet farmers. It was only later that this same water supply became so important to our dairy industry. The sugar-beet industry flourished for the next twenty years. 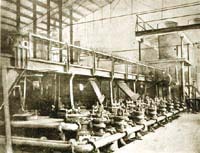 In 1925 the factory was actually upgraded and expanded in anticipation. The peak production occurred in the 1939/40 season. World War II eventually brought about the end of the industry as the essential labour force was taken away. Dairying had become far more profitable and farmers post-war were reluctant to re-engage in the more difficult and less rewarding beet growing. The factory finally closed in 1948; the machinery was auctioned off in 1953; the main building was demolished in 1964. All that remains is a large brick store beside the Sale Road railway crossing and the wooden office, which has been moved about 1km from its original site to become the main part of the Sugar Beet Museum complex. For a more detailed history of the Beet Industry in Maffra see The Beet Sugar Industry 1894 to 1948 which may be ordered from the Society. We all have choices, and one of the biggest choices we face daily is what attitude will we carry with us throughout our day. As the old saying goes, is the glass half full or half empty? To be positive is to be in charge of all that you are. We can choose to be negative, but when we think about it, that is such a waste of good energy. Every single happening in our life is all good. Why do I say that? We can label some things bad, but in reality it is all good, because we can learn from each experience. We cannot change the course of a tornado but if we are caught in it we do the best we can, and we help all those that we can to get back up on their feet as well, sharing positives. Why is it said that disasters help people bond? Disasters help people become even more loving and helpful, and people learn so many lessons from such disasters. Of What value are material things compared to lives? Our attitude can help so many people .Try walking into a store with a bright beautiful big smile, and you will be rewarded with many smiles back. Everyone needs everyone. We are all connected. Through experience, many people find those in terminal illness to be the most inspiring to us all. What do these lovely humans know and understand that we haven’t grasped yet? Their attitude tells it all. We all love being around positive people! Negative people are downers while positive people are uppers for our souls. When we see a rainbow in the sky, we smile and we think good thoughts. A beautiful rainbow truly inspires us. As Maya Angelou says, "Try to be a rainbow in someone else’s cloud.” We can lighten up or dampen our own selves by our own attitude. It works the same on other people as well. Let us try to continue to work on adjusting our own attitude daily. One way we can do it is to become aware. Make a mental note when we say something negative. And replace it with a positive thought. If we continue catching ourselves, we will be able to stop being negative and then we become one step closer to bringing enlightenment to the world! “When you feel the light of God in your heart, know that all is well. When you feel the light of God, you will feel the clarity of God’s plan for you. Through prayer and meditation, this will come to you clearly. God is with us all and He will help us and guide us in our divine plan. Never doubt this, for it is true He is with us and keeping us safe, with the help of our angels who are God’s messengers. God’s love is unconditional and He loves us all no matter what. This is an example of one of the messages taken from my book which is due to be out in Amazon, in a few weeks. It is really interesting how the angels asked me to do this book. Over the years I had begun to write prayers and meditations for healing circles and for groups or individuals. Then I was asked to write some poetry and started to do some poems. Actually it was a lot like taking down dictation, as I found I was channeling the words. I found this with the prayers and meditations, too. I had no idea where this gift came from, because I had never done any sort of writing before except for IEP reports or yearly reviews for my charges I had as a preschool and special needs teacher. I think the reason I never did any kind of creative writing was because I pretty much was of the opinion that I didn’t have the gift of writing in any way or form … So I never dabbled in doing it. The name of my book is, “Living In The Heart Place With Your Angels: Daily Angelical Whispers Throughout the Year.” The book has a daily angel message that I channeled from the angels along with a journal exercise for each message. The angels spoke to me about healing, healing with colors, the heart place, how we can live in the heart place, love, peace and joy. The angels also had me share some information about some of the angels and how they can help you in your life each day. This is a true test of working with the universe to make my dreams come true. I do the work but the universe seems to have the last word on most of the decisions I have had to make in writing the messages, getting the book edited, and now to be published within a few weeks.. All very exciting, all very nerve-wracking at the same time… I make the contacts and the universe helps me with this too. To make sure the contacts are worthwhile and that they are safe choices too. There was a point when I lost the first four months of messages in my laptop. Fortunately I was able to recover them as I had a blog with the messages. And then I was asked to make more changes concerning the future of the blog messages… The message I received was to make this into a daily message book and to also put in a journal exercise. So I started doing that and went back to put exercises on each message for four months of journal, then continuing that with each new message. I truly felt the presence of my angels as I was doing the editing of the book. I could feel their love and I could hear their directions too, for the book and for the next three years. It has been a pleasure working with the angels on this and I thank them for their love and consistent direction. Thank you, dear Angels for your love and direction in this wonderful project. Maurice B. Visscher (1901-1983) was an internationally recognized physiologist and an outspoken and active citizen. His work as medical researcher and teacher, in linking the science of physiology with the practice of surgery, led to major developments in cardiovascular surgery. Maurice was born in Holland, Michigan, which had been settled by Calvinists from the Netherlands. In 1922 Maurice graduated from Hope College, a Reformed Church college in his home town, and moved to Minneapolis with a fellowship to study physiology at the University of Minnesota. In 1925, he earned his Ph.D. in physiology. The next eleven years solidly established Visscher's career. He did heart-lung research with Ernest Starling at the University of London, 1925-26, and research in physiology under A. J. Carlson at the University of Chicago, 1926. He was assistant professor at the University of Tennessee, 1927-29, then associate professor and chair of the Department of Physiology and Pharmacology at the University of Southern California, 1929-31, where he began groundbreaking research on digestion. During the summers he did the clinical work which enabled him to complete his M.D. degree, 1931. Between 1931 and 1936, while he was chair of the Department of Physiology at the medical school of the University of Illinois, he began using radioactive isotopes to study intestinal absorption. From 1936 to 1968 Visscher headed the Department of Physiology at the University of Minnesota. Here, he initiated weekly meetings between his physiology department and his friend, Chief of Surgery Owen Wangensteen, and the Department of Surgery, sharing with them his expertise in physiology and information he had learned from contacts in other scientific disciplines. 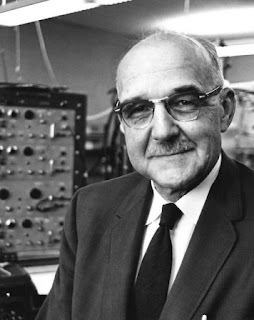 Among other things, Visscher introduced Wangensteen to the mass spectrometer, invented by physicist Alfred Nier during World War II, which Wangensteen adapted to monitor anaesthetic concentration, a measurement critical during long and complicated operations. Visscher was a pioneer in this kind of interdisciplinary collaboration. Innovative heart surgeons Christiaan Barnard, C. Walton Lillehei, and Norman Shumway spent part of their surgical residencies as students in Visscher's physiology department. Visscher published papers on a wide range of medical subjects, including cancer, aging, nutrition, high blood pressure, kidney function and circadian rhythms. He served as president of the American Physiological Society, 1948-49, and was elected to membership in the National Academy of Sciences, 1956. Believing that "unfettered scientific inquiry" may require "rejection of the values of yesterday," Visscher abandoned the Calvinism of his youth and became an outspoken Humanist. From 1942 to 1954 he had a regular column in the Humanist called "Science and Society." He signed Humanist Manifesto II in 1973. 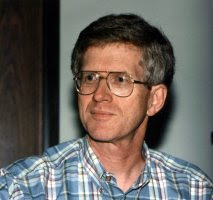 Much of Visscher's social activism grew out of his work as a scientist. He was a strong advocate of academic freedom, free speech, and the international exchange of learning. He openly opposed McCarthyism and loyalty oaths. He revived the periodical Biological Abstracts to promote the dissemination of new knowledge. He served as Secretary General of the International Union of Physiological Sciences; as President, for a decade, of the National Society for Medical Research; and as the first chairman of the American Association for Accreditation of Laboratory Animal Care. During World War II, Visscher proposed a series of medical missions to Europe. The first of these was organized in 1945. He led the 1947 medical mission to Austria, and recruited outstanding scientists to donate their time to other missions to Europe and Asia. In Austria Visscher lectured at the universities in Graz, Innsbruck, and Vienna on a variety of topics, including heart failure, high blood pressure, cancer, intestinal absorption, and the effects of famine. Visscher's work with isotopes in physiology, together with his Democratic politics, led Minnesota governor Orville Freeman, in 1957, to appoint him to a committee where Visscher looked at the effect of atmospheric nuclear testing on milk produced by Minnesota cows. This work provided a scientific foundation for the ban on atmospheric nuclear testing. In the 1950s, when the American Medical Association opposed pre-paid medical care, Visscher volunteered his time as medical advisor to Group Health. He brought together leaders of the local chapters of the AMA to consider the subject. Although he didn't receive their blessing, he did obtain an agreement that they would not oppose the hospital accreditation of Group Health doctors. Visscher was never afraid or embarrassed to stand alone. In 1967, when Minnesotans against the War in Vietnam placed a half-page national advertisement in the Minneapolis Star-Tribune, only the chair of the group placing it was named: M. B. Visscher. Senator Hubert H. Humphrey, long-time friend, with whom Visscher disagreed about Vietnam, is quoted as saying: "Maurice Visscher is a man respected for his professional excellence, an outstanding teacher, a long-time friend who is deeply concerned about the social, economic and political conditions of our society. He is a political activist who is able to blend the excellence of his professional ability with his outrage against any form of injustice. Those of us in political life know him as fiercely independent and always persevering." In 1979 Visscher addressed the American Physiological Society on the subject: "Fifty Years as Scientist and Citizen." At the end of this speech to other scientists, he concluded by saying: ". . . first of all, pay attention to your scientific creativity and productivity. But also remember that you live in a society as I have in which there are many acute problems in which your scientific expertise may help society solve its problems and, perhaps not less important, in which the ethic of truthfulness which is at the heart of the scientific method may be infused into societal decisions." Adapted from the article in Dictionary of Unitarian and Universalist Biography. Wherever men have lived there is a story to be told, and it depends chiefly on the story-teller . . . whether that is interesting or not._Thoreau. It has been said that a storyteller can’t afford the luxury of an ordinary life but what about a group of storytellers? By the way, what is the collective noun for storytellers? A more erudite and digitally included person than me took to Twitter and the Net with that very question. Here are some of the answers: An Eloquence. A gaggle. A book. A murder. An imagination. A novel. A troupe. A yearning. Babble. A Narrative. An Anthology. A Folio. A Convention. Angst. A Quill. An Exposition. A Flight. An Inkwell. A Dream. A Fireside. A Chapter. A Quest. A Treasure. A Cadre. A Coven. A Circle. A Cabal. Confusion. A Whimsy. A Conflagration. A Vulnerability. An Honesty. A Library. A Catalog. A Trope. An Illusion. A Parable. A Cult. A Skein. A Parliament. A Susurration. A League. A Volume. A Yarn. A Tour. For the purpose of this piece I’ll stick with “a tour”. 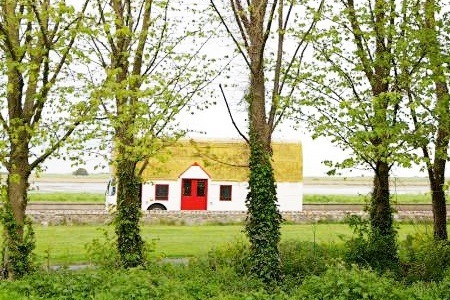 The traditional setting for Irish storytelling was the thatched cottage and Dublin is now unique in having a Rambling House on wheels. That’s right a “cottage bus.” A double-deck bus was transformed, over an 8 month period, into a virtual thatched cottage and now has its own bar, fireplace, piano, and specialist custom built fittings throughout, mostly hand carved from wood. Lord Chesterfield wrote, “Let them show me a cottage where there are not the same vices of which they accuse courts.” I think I have found a vice free cottage (bus). The Storytelling Bus will take you on a magical journey through Ireland's past; a rich history that is so inextricably linked with its mythology. As you travel through the areas of historic and myth-laden Dublin you can listen as storytellers Aidan Crowe and Shane Whisker transport you back to a time gone by when Pookas, fairies and giants roamed this land. Hear tales of how the Vikings were outsmarted by three Leprechauns, of epic battles and dangerous quests, of magic spells and true love. Visit the spot where Irish mermen are said to appear and who knows what you might see! Travel to the site of Ireland’s greatest battle and hear, first hand, how one of our greatest kings was killed in these beautiful surroundings. Listen to the origins of the Tuatha De Danaan - how they were forced to move underground and became known as Ireland's “Sidhe”, "Little People" or "faeries". Due to their magical nature the Tuatha could still visit the land by using magic cloaks which made them invisible. Over the years the Tuatha De Danaan have appeared in many forms to the overworld most commonly as Sidhe, Pookas, Banshees, Fairies and the most famous of them all....the leprechaun! The trickiness of Leprechauns is perfectly demonstrated by a story which comes to us from a time when the city of Dublin was on the verge of being founded! Visit the peninsula of Beann Eadair (Howth). As you look out to the beautiful east on this magical setting, you can see the small lighthouse on what is known as Howth Head. There have been many sightings over the years along this coastline, of Irish mermen. These mermen known as Merrows are not known like their female counterparts as beautiful creatures. They are in fact very disgusting looking. They have the tail of a fish, the torso of a man, small fins instead of arms, the snout of a pig and tiny ears. They wear small red caps on their heads and are very fond of a drink. Hear about Jack O' Mahoney's friendship with one, but please, do be careful where you sit! It was on this peninsula that many centuries ago the High King of Ireland, Conn of the Hundred Battles, used to spend many an evening strolling along its beaches, and in later times Gay Byrne lived there. You see despite his wealth, (Conn not Gay Byrne) power, his prowess in Battle, and the great prosperity and peace he had brought to Ireland, he had been unable to defeat the greatest enemy of all though - death! Learn about the spell of Becúma as you re-board the bus, and let the storytellers take you back to the land of Morgan the Giant as you enjoy an on-board drink supplied free. It also visits Clontarf - the site of one of Ireland's biggest, (and arguably the most important) battle. The Battle Of Clontarf signaled the end of Viking rule in Ireland but was also where one of Ireland's most famous kings, Brian Boru, was killed. This park is well known for its flora and fauna which is said to be very popular with the people of the Sidhe. The trees, shrubs and flowers provide perfect hideaways for these mystical creatures. So please do mind your step as they don’t take to kindly to being trod upon! For if you’ll remember from the tale of the Viking king, the people of the Sidhe can be a vengeful spiteful lot! Wait, Can you hear that scream behind you! Get ready here for some drama! And don't forget about Fionn MacCumahail - the leader of the Fianna, a band of warriors who served the High King of Ireland. They were famed for their prowess in battle which was only matched by their good deeds. They lived by their motto, “Gláine ár croi, Neart ár ngéag, Beart de réir ár mbriathar” or in English “Purity of our hearts, Strength of our limbs, Action to match our speech”. Learn about the infamous trick played on Benandonner and the mystical memory of a giant running away in fear of an oversized baby forever! The bus tour finishes at The Church Bar, on Mary Street - the site where Arthur Guinness was married, and where the composer Handel practiced his famous ‘Messiah’ before its first performance in Fishamble Street, which is just across the river! I have been following the economic news in America from my home here in Suzhou, China. The U.S. economy appears to be on the rebound and perhaps America’s unemployment rate will continue to fall even further. While the economy in America is picking up pace the Chinese economy is slowing down a bit. Many economists still believe that even with the Chinese economic slowdown they still have the economic staying power to overtake the U.S. economy by 2025. The future for China though is not all sunshine and roses due to its country’s changing demographics. China is facing a rising aging population and their labor force is declining. Two decades ago China’s workforce was on the rise which contributed to its remarkable economic boom. Higher wages for China’s workers and the aging population are major factors contributing to China economic slowdown. A decade ago wages stayed unchanged making China the most competitive economy in the world. China’s goal is to increase production on China’s brand name products, specifically for the Chinese market, rather than relying solely on the production of foreign products for the global market. Most of the high-tech products made in China are made for foreign companies. China’s workforce is currently producing 83% of all the high-tech products being shipped abroad for foreign corporations. China is always looking for innovative ways to build its domestic economy by continuously producing new products specifically for the Chinese market. With increased wages for the Chinese labor force China is hoping its workers will have the disposable income to grow its domestic economy. Modern technology and today’s medical advancements are contributing to people living longer and this of course is leading to China’s growing aging population. Many years ago before China’s one child policy was put into effect the elderly were cared for by family members at home. This is no longer the case in China and over the next 20 years or so the dependency ratio will only increase and more elderly will become dependent on the Chinese government to be provided for. In 2015 China may lift its one child policy due to growing concerns about the wellbeing of its future elderly but only time will tell. China’s population will peak to 1.5 Billion in 20 years and then slowly decline to under a Billion people by the end of the century. In 2027 India will be the most populated country in the world and perhaps the most impoverished. There are currently 4 Chinese for every 1 American and China’s workforce is four times larger than our U.S. labor force. As America’s population continues to increase there will be approximately 1.9 to 1.25 Chinese for every 1 American by the end of the century. The effect the declining population will have on China’s economic future is uncertain. China also has a goal of seeing to it that 90% of China’s youth go on to higher learning in Universities and Colleges. This may also affect their labor market where the educated may turn from manufacturing to more innovative ways to earning a living. Many factories may turn to robotics to produce products that were once made by human hands. On a brighter note: China has raised over 400 Million people out of poverty in the last 20 years through education and job growth. Education has also created boundless opportunities for China’s youth and that will continue well into China’s future. In the past 20 years China has emerged as the world’s number two superpower and a fierce global competitor. They are most likely on the road of overtaking our U.S. economy in the near future and they have certainly overcome many challenges along the way. The Chinese Government has overcome those challenges because it has the will of the people behind them and that is crucial for their sustained success. China as a nation however is nowhere near perfect and it is far from being a perfect society but perhaps their ability to implement change is a crucial element for their future wellbeing. The Chinese are willing to make whatever changes are necessary for the wellbeing of its nation and people. I believe they can sustain that success well into the far future if they continue to adapt with the changing times and address the needs of their people. So don't pout or moan. Get ready to shine in the sun. 'Cause you're one of life's aces. The point of being meaningless. I fancy that I’m fifty, sixty most. While my children and grandchildren sang. Just to keep bowels moving. Need tubes and tanks to breathe. On the birdseed I put out. And feed the gods that drove them there. for all we are given. more loving and more open. especially if the executioner had eye contact with the victim. and described it much as I had imagined. Click on Joi Smith for bio and list of other works published by Pencil Stubs Online. Rabbo lay asleep on Athena’s window sill as the sun came up over the mountains and started to shine in his eyes waking him up. He looked around sleepily and saw Athena and Helena snuggled together. Over in the corner was a fur pile of his mother mischief and Cat. Rabbo slipped quietly off the window sill and hopped softly down to the bathroom where he brushed his teeth and took care of his morning business. Once he was happy and finished he hopped down into the kitchen to make breakfast for everyone. Rabbo hopped into the cool storage room and looked around for butter to cook with but he was unable to see any. On an off chance that Merwyn was awake in Athens Rabbo hailed him. “Merwyn are you awake” Rabbo hailed quietly. “Ahh good morning Mr. Rabbo” said Merwyn. “I was hoping you would awake soon. I need your intelligence skills again”. “Can I ask a couple of question first” asked Rabbo. “Then I won’t help you” said Rabbo with the same tone in his voice. “Very well ask your two questions” said Merwyn. “First question is why are you addressing me as Mr. Rabbo. And the second question is where is the butter”? “The butter is in the dairy. And I am address you as an officer and using a tone of respect as I do respect you Rabbo my dear friend. It helps me to address you that way as it keeps my mind focused on what we have to do. Plus old habits die hard” answered Merwyn with a softer tone in his voice. “Oh thank you. Now what do you need from me”. “I need you to locate the camp of the three spies and tell me where they are. I have not been able to locate them as I am doing something I don’t want to do and that very thing repulsive to me. But sadly to save the city I have to do that very thing and act as Zeus and be a god.” said Merwyn. “Ok let me make breakfast and then I will look for them” said Rabbo. “It would be better if you looked for them first. I need up to the moment data so that I can make my plans” answered Merwyn briskly. “Ok Ill do that right now” answered Rabbo. Rabbo dropped contact with Merwyn and stepped out of his body going into stealth mode straight away. He traveled south to where he had last seen the ship with Horus on it then he came back in land to the coast and followed the coast until he came to a small camp where the three spies where sleeping. He circled their camp to make sure that there was no one to close and that no one was watching them in astral form. He then headed up over a small hill just to the west of the three sleeping spies and there right in front of him maybe no less than two miles was the city walls. Rabbo moved over the walls into the city to locate Merwyn but after twenty minutes of looking he was unable to find Merwyn. Rabbo opened his eyes and listened for sounds in the house but all he heard was the gentle snoring of the twins and Diana. Once again Rabbo hailed Merwyn. “I located them about two miles east of the city walls just on the coast. I did not see any aura’s around so they are not being watched over. Unless who ever is watching them was also in stealth mode” said Rabbo. “Very good” said Merwyn before he dropped out of Rabbo’s mind. Rabbo hopped out to the dairy and got a package of butter. He then returned to the house and started to cook breakfast for everyone. He made sure that he had his gloves on so that none of his fur would end up in the breakfast. Rabbo chopped fresh green onions, garlic and added them to the eggs that he had beaten to make omelets for breakfast. As he was finishing the first omelet he heard footstep come down the stairs. As he turned he saw Athena walk into the kitchen wearing a short robe that she had not even bothered to tire. “You know what Merwyn would say with you dressed like that” said Rabbo smiling. “And you know what I would tell him” answered Athena slipping her robe off. “Talking of my father have you spoken to him this morning”? “I spoke to him a while ago” replied Rabbo as he poured the next mix of beaten eggs, garlic and green onions into the frying pan. “The spies have been located and he is making plans” said Rabbo. “That’s all I know at this time”. As Rabbo cooked the second omelet Athena went into the cool storage room and came out with slice salami and bread that Helena had baked the day before and a jar of milk. Together they set the table and finished cooking breakfast just in time as the twins, Diana and Helena came down stairs together. Helena was wearing just a smile as she sat down next to Athena to eat breakfast while Diana and the twins were wearing matching short togas. Rabbo suddenly started to feel a building feeling in him. Just then Cat, Rabbo’s mother, and mischief came running down the stairs at a high rate of speed and bolted out side to get away from the house. “I feel a building feeling in me” said Rabbo as he slipped down from the table and headed towards the door. Athena turned grabbed Merryn and Wenna while Helena looked confused. “Darling Rabbo means that there is an earthquake about to happen” said Athena as she walked towards the kitchen door. Once outside everyone including Rabbo’s mother sat together on the grass away from the buildings. Then the ground stated to shake and roll as the earthquake happened. The earthquake seemed to last only a few second before the ground stopped rocking and rolling. “Is that it” asked Athena looking at Cat and Rabbo. “More to come I feel” said Cat. Then the ground started to shake again a little more violently and a little longer than the earthquake that had happened a few moments before. Rabbo, Mischief, soft eyes, and Cat let out a moan all at the same time as the earthquake finished as the pressure inside them lessened. “Glad that’s over” said Rabbo. Everyone got up and went back into the house and returned to eating the last of the breakfast. “I am glad that Rabbo warned us” said Helena. “It’s handy having a talking cat and rabbit as they can warn us of things that we don’t normally feel” replied Athena. Merwyn stood invisible on the harbor wall looking out to sea. The fog had retreated to just off the coast in a huge fog bank that stretched along the coast for miles. As Merwyn scanned the fog he spotted a single ship drifting down the coast in the fog bank. With his mind in astral mode Merwyn moved out to look at the ship. On board he could make out two bright auras and one not so bright aura. So he moved in closer until he was on the ship. At once he saw that the bright auras were those of Angus and Bastet so he turned to his body and hailed them. “Angus and Bastet” Merwyn said on a group private telepathic mode. “What brings you here so early”? “Athena told us last night that Ra is sending a large force to attack Athens so we come to help” said Bastet. “Good we will need all the help that we can get” said Merwyn. P> Merwyn made himself visible and walked up the gangplank and looked around at the crowded deck. Merwyn could see about sixty heavily armed men dressed in mail and leather armor. Each man held a long stiff bow that was taller than them. “Good to see you Angus” said Merwyn. “Just like old times. But what’s with metal armor you have on”. “That’s my idea” said Solee who was dressed in the same manner. Bastet came walking over wearing a form fitting chest plate and a metal pleated skirt. “Athena is all packed and she and Rabbo will soon be on their way” said Bastet. Merwyn turned and looked at Bastet with a look of dismay. “What! The last thing I want is my daughter here. I want her where she is safe and away from this” said Merwyn trying to keep a level tone in his voice. “General” said Angus “we are going to need all the help we can get. I hailed Yhva last night and he won’t come. We will need first rate battle medics, Athena can help”. “I know but I don’t want my own daughter involved in this mess. I will have enough on my mind without worrying about her” said Merwyn regaining the control of his voice. “I agree with Angus” said Bastet “beside if Ra is planning on making a move against her it would be better that she is here with us. Plus we can use Rabbo to find Ra and the others and see what they are up to”. “Beside I don’t think we could talk Athena out of coming” said Angus. “Very well” said Merwyn. “Bastet I will use your ward room as my command center until I speak with the elders of Athens. Once I have spoken to them I will move my command center to the temple”. With that Merwyn turned and walked off up the deck towards Bastet's ward room. “That went better than I thought” said Bastet to Angus. “You took the right tone. It’s good to see him back as a general. I was starting to think my old friend had changed” laughed Angus. “Oh he’s always been there. Just that losing Isis like he did hurt him deeply. But Athena is helping heal him. As Solee is helping to heal you” said Bastet smiling. Solee snuggled into Angus and reached out for Bastet's hand. She took a hold of Bastet's hand and kissed each finger tip gentle before letting go. Together the three headed towards Bastet's ward room that Merwyn was going to use as his command center. As they entered the room they saw Merwyn sitting by the porthole with his eyes closed looking towards the south. Merwyn watched the large fleet of sixty ships as they slipped anchor and set sail to head towards Thira. As Merwyn watched Ma’at came up on deck from the lead ship. She walked across the deck and turned to face the south. Merwyn turned and headed northward towards the island of Thira and saw an even huger fleet of ships sitting at anchor in the great harbor. On the shore were a great many tents and warriors training with their weapons. Off to one side watch the warriors he saw Anubis. Merwyn laughed to himself as he watched the training of the warriors. “Of all the people to lead the main force it would have to be Anubis” Merwyn thought to himself. Merwyn turned back glad that he was able to confirm all the information that Rabbo had gathered the night before and even more delighted that it was Ma’at and Anubis he would be facing. Merwyn opened his eyes and looked at Bastet, Angus and Solee. “I will help set up a field hospital near the temple” said Bastet “Athena and I will treat the wounded”. “Now about the spies” said Merwyn. “I think we will let them enter the city so that everything seems normal for them. But we will keep an eye on them and even help them settle in. But once its time we will scoop them up so fast that they won’t know what has hit them” said Merwyn as he projected an image of what the spies looked like into the minds of Bastet and Angus. “I will set up the troops of this city in companies. I will hold two companies in reserve as far as possible away from the main walls but close enough that they can react fast if the walls get breached” said Angus. “Ok now some bad news” said Merwyn looking grimly at everyone. “They have explosives and oil to burn. I think what they will do is use battering rams and catapults to break into the city. So we will need to keep those catapults out of range and watch out for the battering rams”. Merwyn stood up and walked out of the ward room. As he left he turned invisible again. The village elders were gathering in the senate building just behind the city square for their weekly gathering. It was almost mid afternoon as they seated themselves in a huge semicircle so that each could voice what was on their minds. As the first elder stood up and was about to speak Merwyn appeared as Zeus out of nothing. “Greetings citizens of Athens, city of my most beloved daughter Pallas Athena I bring news of a great fleet sailing from Crete. Arm yourselves for battle”. Suddenly there was a great flash and a huge cloud of smoke. Out of the cloud of smoke stepped Athena wearing her battle armor. “My father speaks true my beloved people. My father, Bastet, Angus and I will help defend this my most beloved city” said Athena as she walked up next to Merwyn. The leader of the elders stood up and faced both Athena and Merwyn. “Oh great gods of our people what must we do” asked the elder. “Arm my people. Ever able body male over 16 summers must be armed with spear sword and bow. We have three to four days to be ready” said Athena. “Where is Rabbo” asked Merwyn on Athena’s private telepathic mode. “He is at my feet invisible with Mischief. She would not stay behind so I brought her too” answered Athena. “She should have been left behind with Helena and the children. I hope you did not bring them too” said Merwyn. “Dad I am not stupid. I would not risk my children here” answered Athena. “They are my children too” said Merwyn. “Then acknowledge them as such to their faces” Athena said in a harsh telepathic tone. Merwyn turned and looked at the elders who were talking among themselves in quick hurried and hushed voices. “My lord we will arm the people and make ready to defend this city against whoever comes to defile us” said the head elder. “Good” said Merwyn. “My daughter and I will set up in the temple and we will help you defend this city”. “I will need this building as place to heal the wounded of this fight that is to come” said Athena. Merwyn turned both he and Athena invisible. Together with Rabbo and Mischief they walked from the room and headed to the temple. There at the temple they walked into an empty back and became visible again. “Ok Mr. Rabbo you have a mission. Find and locate Ra and as many of the others as you can. Go in full stealth mode and stay in stealth mode until you get back here” Merwyn then turned to Athena “Stay invisible and return to Bastet's ship and have them come here. I am going to see what Anubis is up to on Thira and see how fast Ma’at is going”. Athena turned and left the room. Merwyn walked over locked the door and sat down next to Rabbo. “Ok lets about it them Mr. Rabbo” and with that Merwyn closed his eyes. Rabbo hopped up on a box made himself comfortable and slipped out of his body and headed south as fast as he could go. After a while Rabbo arrived over the great delta and headed down the main channel until he located the great river. Once Rabbo had located the great river he followed it until he came to the palace and temples of Ra. Rabbo climbed up high and started looking for auras and after a few minutes he had located three auras close together so he descended low and towards them. As Rabbo entered the room he was very surprised to see two Hathor’s. One Hathor was laying full length on a table and the other was sitting looking at her thoughtfully. Rabbo knew that one Hathor was not the real Hathor as the two auras were close but not the same. However the third aura was clearly Ra. So Rabbo sunk lower into the room and hid in a corner behind and below a dresser so that he could listen. “Hera, Hathor sleeps in a dream world that I made. She thinks it is the real world and it is mostly. All that is happening here is happening in her world” said Ra “what I am going to do is link you into her world so that you can think like she does and act like she does and your aura will match hers. That way we won’t be found out until I am ready to bring her back”. “Ok. Now how soon do we have to be at the council meeting” asked Hera in Hathor form. “Thoth, Seth, Nut, Seshat and Ares will be here in about two hours. They are coming up from the south where they have been working on training my other assault force that we will use in the next phase of our plan against Merwyn and Athena. Plus by the time the hybrids are ready we should be ready to start the second phase” said Ra thoughtfully. “You think it will work. I mean the hybrids. You said that they will have only weak abilities” said Hera looking worried. “They will be enough. And enough is all we need” said Ra. “ok now lets fix you up so that you can pass for Hathor without me having to prop you up like I did in the last meeting”. Ra moved over to Hera and placed his hand on the top of Hera’s head and closed his eyes. Rabbo slipped out of the room and traveled down the great river until he saw the ship that was bringing the others to Ra’s palace and temple. “I better return too Merwyn and report of what I have seen and heard” Rabbo thought to himself. Rabbo opened his eyes and was surprised to see that he was totally alone in the darkened storage room at the back of the temple. He slipped off the box and made himself invisible and hopped out into the short hallway before he headed into the main part of the temple. Sitting off to one side at a table Rabbo saw Merwyn and Angus talking. So he hopped over to the table hopped up on the table and made himself visible. Rabbo felt his body tingle and he looked at his front legs and paws that had turned into wings. “I think its best that you appear as Athena’s owl for the time being” said Merwyn. “Yuck I hate the taste it leaves in my mouth when you turn me into an owl” said Rabbo spitting a little. “Ok Mr. Rabbo make your report” said Merwyn. For the next twenty minutes Rabbo explained in detail what he had heard seen and felt when he was at the palace of Ra. “Rabbo makes a good spy” said Angus clearly very impressed by Rabbo’s clear and concise report. For the next thirty minutes Merwyn and Angus questioned Rabbo in greater detail going over again and again some of the key points that Merwyn wanted more information on. “Ok Rabbo go and relax and I will send you out again to sniff around those ten ships that are low in the water in Ma’at’s fleet” said Merwyn thoughtfully. Rabbo hopped down from the table on to a chair that had a padded seat. He then sat down on to the padded seat and closed his eyes to nap. Rabbo awoke about forty five minutes later to hear a number of different voices talking to Athena and Merwyn. “My lord Zeus I don’t see how we can dig the trench you want in just a day” said one voice. “I will make it appear for you” said Merwyn’s voice. “But why do we need so much water in the senate building” said a female voice. “Because we will need it to treat the wounded” answered Athena’s voice. Rabbo kept his eyes closed as he did not want the others to know that he was awake. Plus seeing his body covered with feathers instead of fur was a little unsettling to him anyway. Suddenly there was a hush that fell over the temple and then the sound of many feet entering marching in, in step. Rabbo opened his eyes and saw the sixty warriors that Bastet had brought with her. At their head stood Bastet wearing her armor and a long black cloak with a hood that covered her face. She walked up to Merwyn saluted him before she turned to the elders in the room. “These warriors are my people. They are like you and they have promised to help you. Now do you have good strong men that could handle the longbows that these men have? I have brought a hundred of these bows and I have plenty of arrows” said Bastet her voice filling the temple. A young man pushed his way though the crowd of elders and walked up to Bastet. He bowed low and smiled. “I think I could draw one of those bows. They don’t look like much nothing more than a twig” and with that he reached out and grabbed a bow. Bastet watched from under her hood as the young man started to draw the bow back. He had got about a quarter of the way when he had to stop and let go of the draw string. He looked at Bastet with wonder and wide eyes. “What manner of bow is that that such a twig of wood could be so hard to draw” said the young man. Another older man walked forward and took the bow from the young man and slowly he drew it back until the draw string was at his cheek. Then gentle he returned the string back to its normal position. “Tis a bow with great power. As a lad I once had a bow made of wood, horn and sinew. This bow has that same great power and more. Tis a bow with great reach I would bet” said the older man softly. “I know some that might be able to handle these bows. But not many I warrant”. Rabbo stood up in his chair and walked over on his hind legs in owl form and spoke to Bastet in a soft voice so that she was the only one that could hear him. “What’s the draw weight on that bow”? “About one hundred and seventy pounds” answered Bastet leaning down so that only Rabbo could hear her. Just then two men walked in wearing bronze chest armor. “Our lord Zeus we captured the three spies you told us of. We have them chained outside as we did not wish to defile this most holy of places with their filth. What would you wish we do with them”? “They should be beheaded and their bodies hung from the walls and their heads spitted on spears so that when the raiders come they will know what awaits them” said one of the elders. “I wish no such thing” said Athena stepping towards the elder who had said that the spies should be beheaded. “But they would bring harm on us” answered the same elder. “I come with love for my people and I will protect and help them. But these men were forced to do what they did. It is not by their wish that they would be spies. I am love and kindness. I wish that the raiders were not coming. But they are. They plan such harm to my city and sadly they will be harmed. But I wish that it were not so. But I am not a goddess over them as they follow another god. But I will show that I and we are better then they by sparing these poor men” said Athena softly yet in away that all in the temple could hear her voice. “My daughter wishes it so. And I wish it so” said Merwyn. Athena turned to Merwyn smiled and turned back to all that were gathered in the temple. She smiled sweetly and then spoke softly. “I wish to talk with Zeus and the other gods that are here with us privately”. The temple emptied quickly and soon just Athena, Rabbo, Merwyn, Angus, Mischief and Bastet were all that was left in the temple. “Thank you my dear daughter” said Merwyn. “I could not have put it better on how to deal with the spies”. “I honestly do not wish them harm” said Athena. “I honestly feel that if we were to have them killed it would make us no better than Ra”. “I agree with you my dear daughter” answered Merwyn. “I don’t” said Bastet. “I think that the village elder that suggested that has a good point. Show them that we mean business and that we mean to make it costly to attack this city”. “Merwyn is right” said Angus. “Having the spies killed might make the warriors fight harder if they believe that they will be killed by us if they are captured”. “Look we don’t have time to stand here and debate what should or should not happen to the spies. We need to get the trench dug and dug fast” said Merwyn. “I have a question” said Rabbo. “Yes’ said Merwyn levitating Rabbo up onto the table so that he could talk face to face with Rabbo. “Are we sure that they will attack from the beach to the east of the walls” said Rabbo slowly. “Yes it’s the only level open area that a large force of warriors can gather and catapults can be used. To the south is the walled harbor, to the west are high cliffs that they would have to climb first and to the north is a wide open area that dips down and would be a killing field for then if they were there. They would lose to many warriors in that area. The eastern beach area is the only place that they can use to attack us with easy. I am counting on that fact as it will mean that they cannot lay a full siege on us. Sure they can try and encircle the city but they would need far more warriors than they currently have. Maybe twice or three times the number they have with the tools that they have” said Merwyn in his command voice. “How deep and wide will the trench have to be” asked Athena. “I want it twenty feet wide and ten feet deep and the whole length of the wall. We can flood it with sea water and then top it off with all the oil that we can get our hands on. The oil will sit on top and with sand over the top it will look just like solid ground. Ok let’s get busy. Oh Rabbo can you go out again and see what is happening at Ra’s palace. Listen like you did before. And remember go in stealth mode and stay in stealth mode I don’t want any slips like the time before. Oh and Rabbo please be careful” said Merwyn kindly. Rabbo hopped back to the back storage room locked the door and looked at his body and was happy to see that he was back to his normal rabbit body. “I hate looking like a dam owl. And the feathers itch and hurt. I wonder how the dam things feel covered in feathers all the time” Rabbo muttered to himself. Rabbo hopped up on his box and closed his eyes. Right before him was huge blindingly bright aura. Rabbo opened his eyes and was about to hail Merwyn with all his force when he heard Yhva speak. “I am just watching. I am not here to interfere or tell General Merwyn what to do. I am just here to watch” said Yhva on Rabbo’s private telepathic mode. “Why won’t you help us” asked Rabbo on the same mode. “I can’t” said Yhva. “I made a promise. Rabbo I can’t explain the promise as that too would be breaking a promise. Just know that I wish Merwyn well and I will help only by telling him what I see much as you are going to do. But also tell him if Ra asks me to tell him what I see I will do so. Reluctantly but I will tell him”. “I will” said Rabbo. Yhva’s aura faded away leaving Rabbo alone in the storage room. Rabbo closed his eyes and headed towards Ra’s palace.